SiteFusion is an open source and server-based development platform where a XUL client runs code written with PHP. The output is platform-independent and can access the client filesystem, run programs, play sounds ,etc. 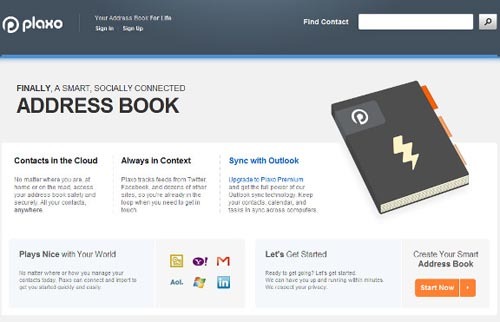 Plaxo is an address book in the cloud, capable of pulling contacts from a variety of online services like Gmail, Aol, Windows Live, Yahoo, Microsoft Outlook and LinkedIn. Plaxo can also track news feeds from social network destinations like Twitter, Facebook, and other popular sites. That way, you are always in loop with your friends when you need to get in touch. This is where the small chat systems become handy. Whether you will be talking with a client, a teammate or a friend, just a standards compliant browser & an internet connection will be enough. Again a simple application where any number of users can connect. Optionally, you can password-protect your page to make sure the chat is private. Besides standard chat rooms, you can signup & create private rooms which are password protected and the communication is encyrpted. Google just kicked it up a notch announcing the Chrome Web Store. The wildly popular app store concept is finally being applied to today’s powerful web apps, closing the gap between native desktop and web apps even further. 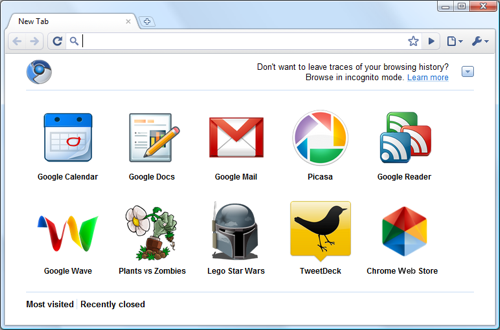 The Chrome Web Store is a marketplace that will make it easy for people to find and “install” todays powerful web apps. The Chrome Web Store is simply a marketplace that will make it easy for users to find the powerful web apps that are already available today. In the future this will be important as web apps are exponentially increasing in availability and it’s increasingly hard to find the best of the best. 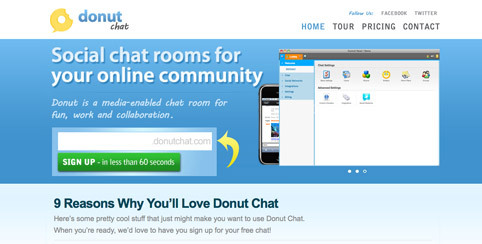 Donut Chat is an easy way of getting chat room functionality on to your website. It has iPhone / iPad support and has a free plan available. They are also developing an API which is in Beta. Nothing to download or install. Website, Blog or Facebook Page. Connects with Facebook, Twitter, WordPress, etc. It’s your chat, you’re in control. iPhone / iPad / iPod Touch compatible. Share files, photos, videos and documents. 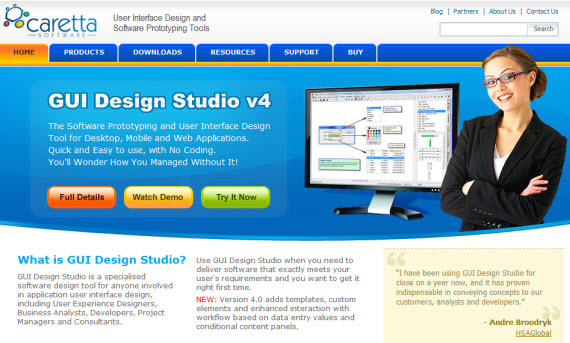 GUI Design Studio, Prototyping and User Interface Design Tool for Desktop, Mobile and Web Applications. GUI Design Studio is a graphical user interface design tool for Microsoft Windows that you can use to rapidly create demonstration prototypes without any coding or scripting. Draw individual screens, windows and components using standard elements, connect them together to storyboard operational workflow then run the simulator to test your designs. Watch video demo overview.